X-Man’s so-called mutant paradise continues its descent into post-apocalyptic ruin with this week’s AGE OF X-MAN: THE MARVELOUS X-MEN #1 by Lonnie Nadler, Zac Thompson, Marco Failla, and Matt Milla. In AGE OF X-MAN: ALPHA #1 we saw the beginnings of horror as Jean Grey’s relationship with Bishop yielded violent results. In this new AGE OF X-MAN installment, we learn that not only are romantic relationships outlawed — all relationships are. 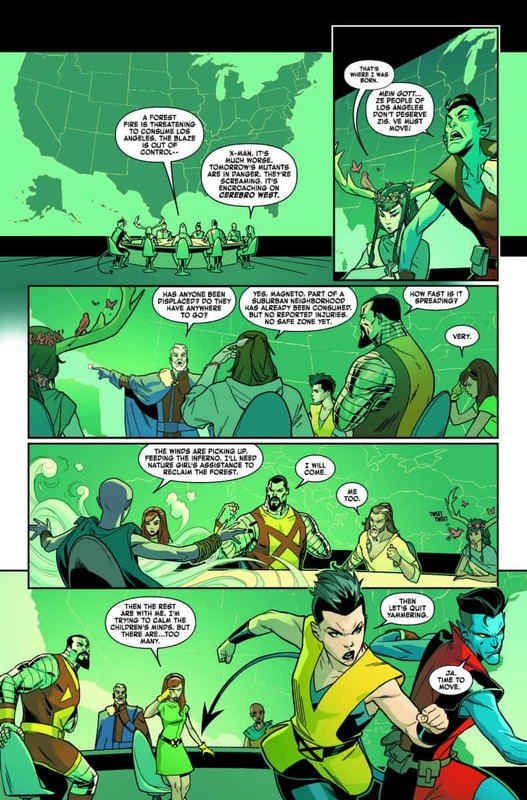 X-Man believes that the philosophy of “Individualism” is the only thing that can maintain peace in society. While that might be true, “love” rebels like Apocalypse are willing to challenge the status-quo. For more of our AGE OF X-MAN: THE MARVELOUS X-MEN #1 review, keep scrolling! This issue makes it clear: Nate Grey is a weird guy. We kind of already knew that before, but AGE OF X-MAN: THE MARVELOUS X-MEN #1 makes it bluntly obvious. His utopian paradise still seems like a pretty nice place; everyone is surface-level happy and the X-Men are always there to protect civilians from anything and everything. 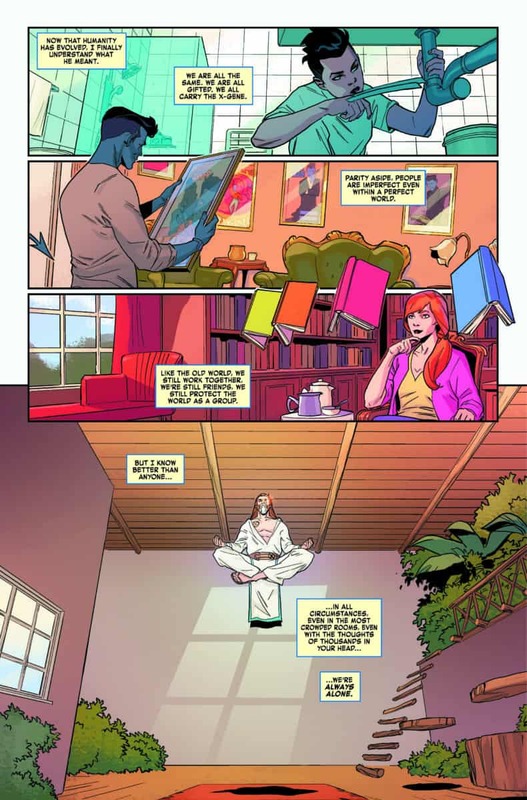 But, as we know, nothing is as it seems and, in AGE OF X-MAN: THE MARVELOUS X-MEN #1, some of the X-Men start to realize this too. While rescuing “unhatched” babies from a lab that’s caught on fire, X-23 has a flashback to her previous life on Earth-616. She sees an image of her sister, Gabby, and nearly recognizes her. Confused, she goes to X-Man with some questions. 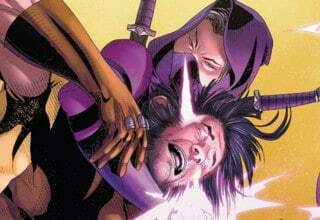 In typical X-Man fashion, he wipes her brain of the memory and reminds her that Individualism reigns. What a great guy. In terms of worldbuilding, AGE OF X-MAN: THE MARVELOUS X-MEN #1 is just as good as AGE OF X-MAN: ALPHA #1. This crazy world that Nate created is starting to become something much more tangible. We get to see inside a hatchery, where mutants are made in test tubes and then raised in a communal living situation until puberty. While the place seems nice, it shows just how cold this reality is. The building is clean but it’s hardly a home. It isn’t a place for kids to grow up. 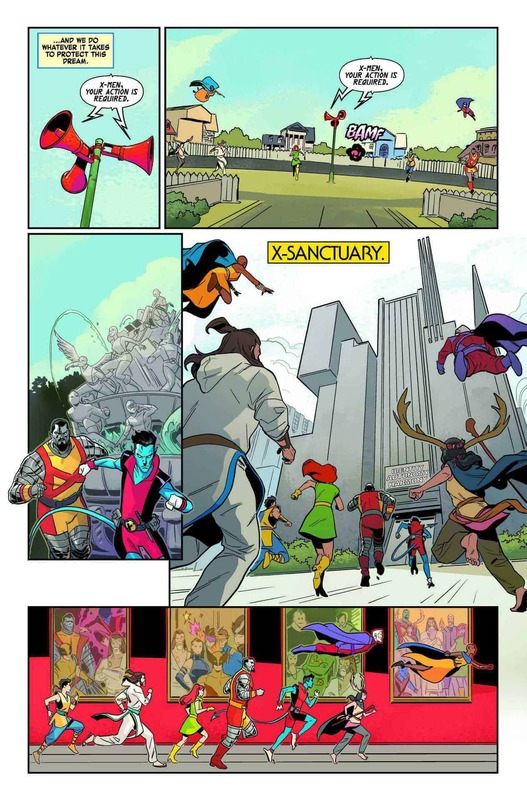 We also get to see where the X-Men live (and it isn’t in a dorm room at the Summers’ Institute). 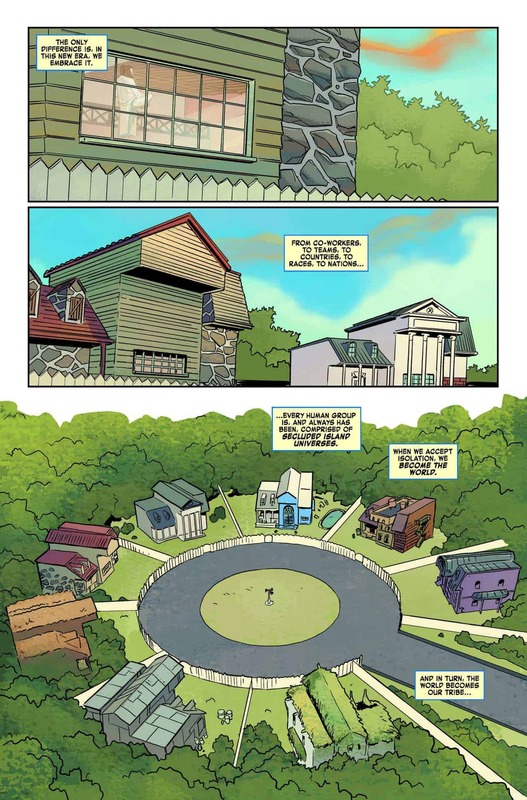 In this reality, the X-Men all live on this weird suburban style cul-de-sac. Each member has his or her own house since, in X-Man’s reality, people don’t live together. As with the hatcheries, each member’s house feels cold — even though they all look nice enough. These houses are sort of like a symbol for X-Man’s alternate reality. They look nice at first glance, but upon further inspection they’re unsettling. 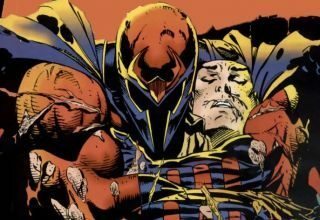 Where’s Apocalypse When You Need Him? 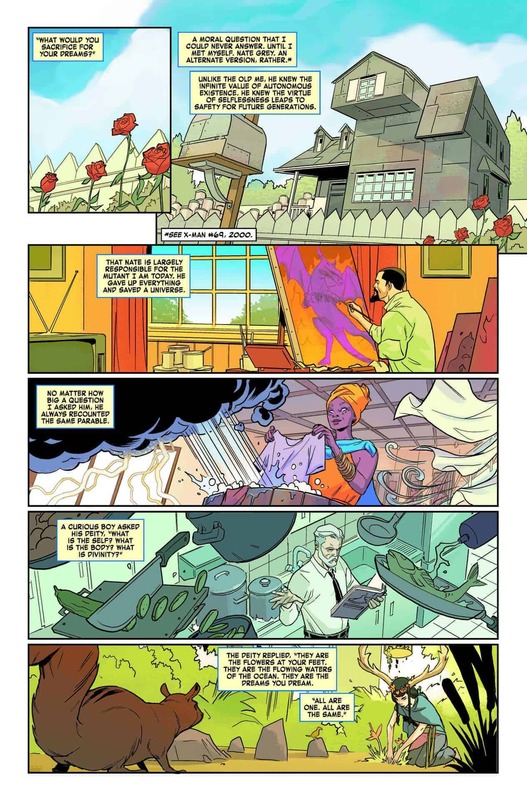 I know that Thompson and Nadler are doing something right because after reading AGE OF X-MAN: THE MARVELOUS X-MEN #1, I wanted to read ten more issues of this stuff. This is partially because this reality they’re building is so creative, but it’s also because of the pacing. We’re two issues in and we still haven’t seen the “love rebel” Apocalypse. We’ve seen a picture of him, and heard his voice through Jean, but we haven’t actually seen him which adds to the excitement for the next issue. Some fans might think Nadler and Thompson are going a bit slow, especially when compared to past X-Men series like X-MEN GOLD & X-MEN BLUE. These series loved to fly through arcs without giving characters time to develop or plots time to unfold. 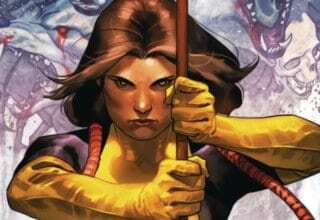 AGE OF X-MAN: THE MARVELOUS X-MEN #1 gives the characters and the storyline that time. X-23’s realization that something is amiss is slow and realistic. 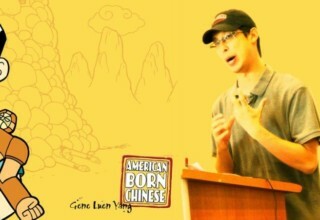 Nature Girl’s discussion with Jean about “natural procreation” is both humorous and beneficial to the storyline. This issue might seem like a filler issue for a few pages, but don’t be alarmed. This isn’t a filler issue. 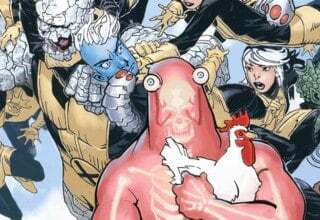 Marco Failla doesn’t manage to bring the same sense of nostalgia to AGE OF X-MAN: THE MARVELOUS X-MEN #1 as Ramon Rosanas brought to AGE OF X-MAN: ALPHA #1. However, that isn’t necessarily a bad thing. The first issue in this insane AGE OF X-MAN storyline needed that extra boost of nostalgia. Failla’s lines and Matt Milla’s colors tap into that same 1950s vibe to a lesser extent because that sense of nostalgia is, with each issue, lessening. This gradual change in style and color is similar to coming to the realization that the memory of a beach trip you took when you were six is nowhere near realistic. At its most basic, AGE OF X-MAN: THE MARVELOUS X-MEN #1 will make readers glad to have their friends and family. I know this because that’s how I felt after reading this. The X-Men are living the loneliest lives ever and they don’t even completely realize it. They don’t realize that, in another world, they considered each other family. It’s hard not to read that and reflect on your own life and how amazing it is to love people (and have them love you in return). The Age of X-Man is upon us! AGE OF X-MAN: THE MARVELOUS X-MEN #1 brings us deeper into X-Man's fabricated reality, where "individualism" reigns over relationships, both familial and romantic. This issue begins to tackle some of the larger questions presented in AGE OF X-MAN ALPHA #1 but doesn't give answers quite as satisfying as I would've hoped. In a way, this is a good thing. Thompson and Nadler are bringing us on a ride that takes longer than two issues. Let's just hope they don't leave all the interesting tidbits for the last issue like a certain PHOENIX RESURRECTION miniseries.